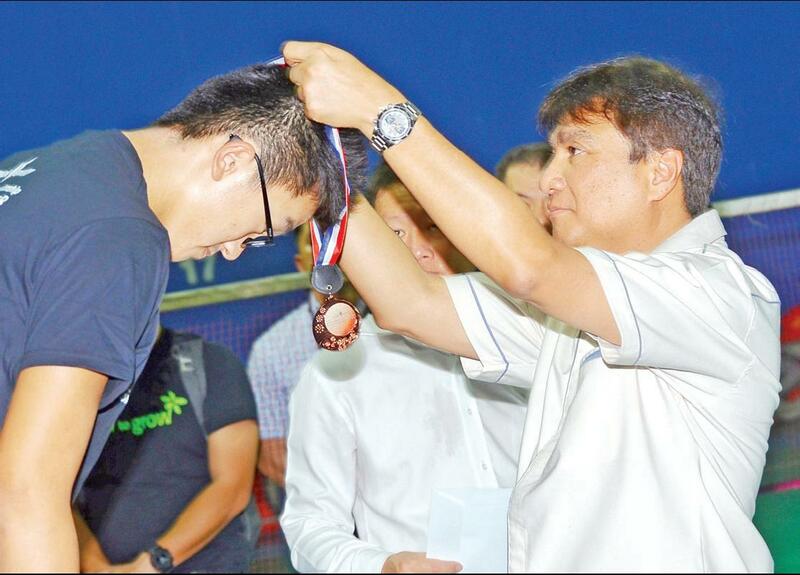 SHARBINI Suhaili presents a medal to a winner of the Sarawak Energy Junior Badminton Championship. KUCHING: A total of 300 badminton players took part in the inaugural Sarawak Energy Junior Badminton Championship. Organised by Sarawak Energy Berhad (SEB), the tournament started on August 18 while the prize presentation ceremony was held at Sentosa Sports Centre here yesterday. The tournament was divided into the following categories – boys’ singles, girls’ singles, boys’ doubles, and girl’s doubles for Under 12 (U-12), Under 15 (U- 15), and Under 19 (U-19) age groups. For the boys’ doubles category, the respective winners were Syafiq Azhar Haizain and Owen Ting Shih Wee (U-19), Joshua Voon and Pui Wee Young (U-15), and Chung Jia Hio and Aryan Syahimad Lee (U-12). The boys’ singles respective winners were Danny Lee (U-19), Pui Wee Young (U-15), and Aryan Syahimad Lee (U-12). In the girls’ doubles event, the winners were Kam Wei Li and Kristy Tay Yong (U-19), Nicole Hon Cai Xuan and Kashley Kho Tze Yin (U-15), and Levia Kho En Qi and Angel Lim En Yu (U-12). The girls’ singles saw Flora Fong Xin Jie (U-19), Lee Zi Suen (U-15), and Levia Kho En Qi (U-12) as the champions. SEB Group CEO Sharbini Suhaili was present to give the winners their prizes. 300 take part S’wak Energy Junior Championship 0 out of 5 based on 0 ratings. 0 user reviews.